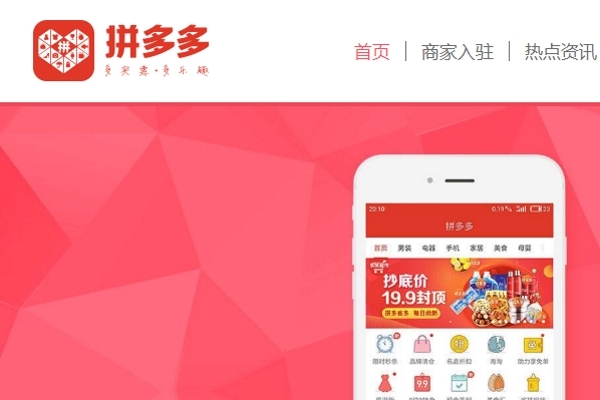 Popular Chinese discount marketplace Pindoduo is under investigation for the sale of counterfeit goods on its platform, just days after making its Nasdaq debut. A Reuters report says Chinese regulators are responding to media reports of third-party vendors selling fake goods on Pindoduo, which is hoping to become a rival to online retail giant Alibaba – another company that is no stranger to the problems of keeping counterfeits off its websites. A statement (in Chinese) from the State Administration for Market Regulation says that it has asked the Shanghai Municipal Administration of Industry and Commerce to interview the site operators. Just a few days ago, Tencent-backed Pindoduo raised $1.63bn though its Nasdaq initial public offering (IPO), giving it a value of around $24bn. It started out at upwards of $27 but has decline sharply in the intervening period, dropping another 14 per cent early trading today as and dipping below $19. Ahead of its IPO the company was sued by diaper company Daddy’s Choice alleging the sale of counterfeits on the suite and intellectual property infringement, and it’s reportedly also received complaints from Chinese audio-visual equipment manufacturer Skyworth. Techcrunch says that according to Pindoduo’s annual consumer rights protection report for 2017, it has taken almost 11m problematic listings and blocked 40m suspicious external links, which it claims represents 95 per cent of the fake good sellers from the platform. The company has also set up a$22m fund to deal with after-sales disputes. It’s a tough community to oversee however. According to its IPO filing prospectus, Pindoduo had 1.7m active merchants on its platform in the 12-month period ended June 30, 2018.